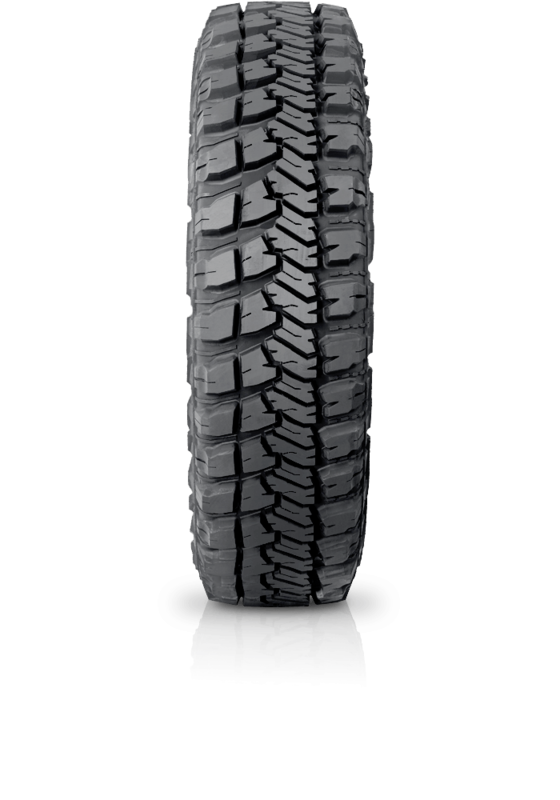 Goodyear Wrangler MT/R Kevlar offers outstanding performance in extreme conditions for serious off-road drivers. Goodyear Wrangler MT/R Kevlar offers outstanding performance in extreme conditions for serious off-road drivers. Wrangler MT/R with Kevlar is for serious off-road drivers looking for a heavy-duty tyre with advanced technology that delivers exceptional performance for both work and recreational off-road driving. Featuring DuPont™ Kevlar® reinforced sidewalls to resist cuts and punctures plus an aggressive asymmetric tread design and traction ridges to provide outstanding traction and grip in extreme and demanding conditions, the Wrangler MT/R with Kevlar is one of the toughest off-road 4WD tyres that money can buy.